“The Oder Delta, sometimes referred to as the “Amazon of the north”, sits on the Baltic coast in both Germany and Poland. Largely devoid of human habitation, this fought-over land has been left as a haven for lynx, European bison and wolves. 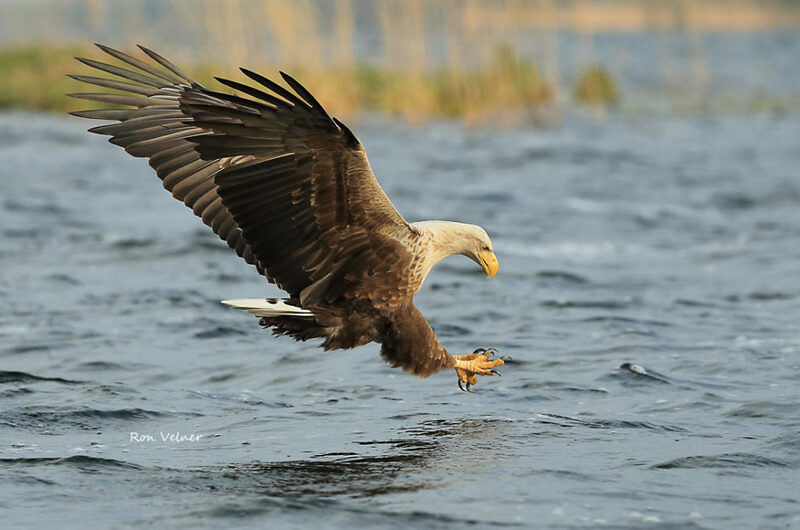 In the Szczecin lagoon on the Polish side(…) there are 50 breeding pairs of white-tailed eagles patrolling an area of 100 square kilometres. With an astonishing six-foot wingspan, these raptors are Europe’s largest eagle. There is a higher density of them here than anywhere else in the world.